Home » Uncategorized » Fake News! 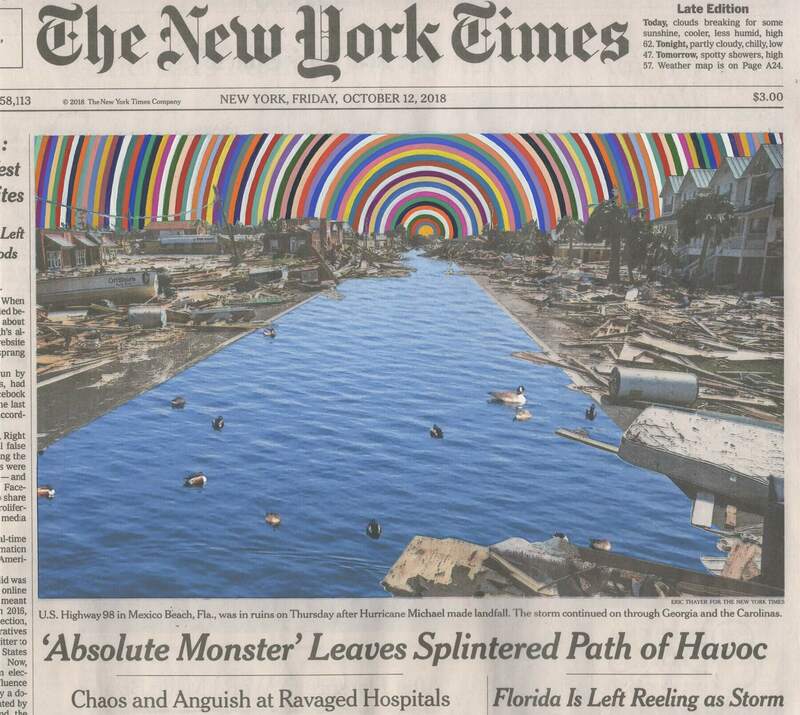 There’s always been a strong element of escapism in the work of Fred Tomaselli. But where alternate reality meets the news of the day is the subject of the next solo show in Joslyn’s Riley CAP Gallery, opening February 2. California-raised Tomaselli became known for what might be called post-psychedelic paintings. His colorful, hallucinatory collages reflected on the loss of idealism and failure of the “hippy dream” and aimed to reconnect humanity with nature and beauty. A New York artist since 1985, Tomaselli has also developed an interest in the editorial selectivity that informs what is deemed important in the news cycle. Since 2005, he has been hand-embellishing photographs from the front pages of the New York Times, and it is this body of work featured in the Riley CAP. Using his personal vocabulary of natural and decorative motifs and patterns, Tomaselli enhances the press images to add a tone that may be satiric, sad, trippy or cosmic when seen in the context of the print story. His selections are not based in advancing a political or social ideology, but in framing the often surrealistic quality of contemporary life. 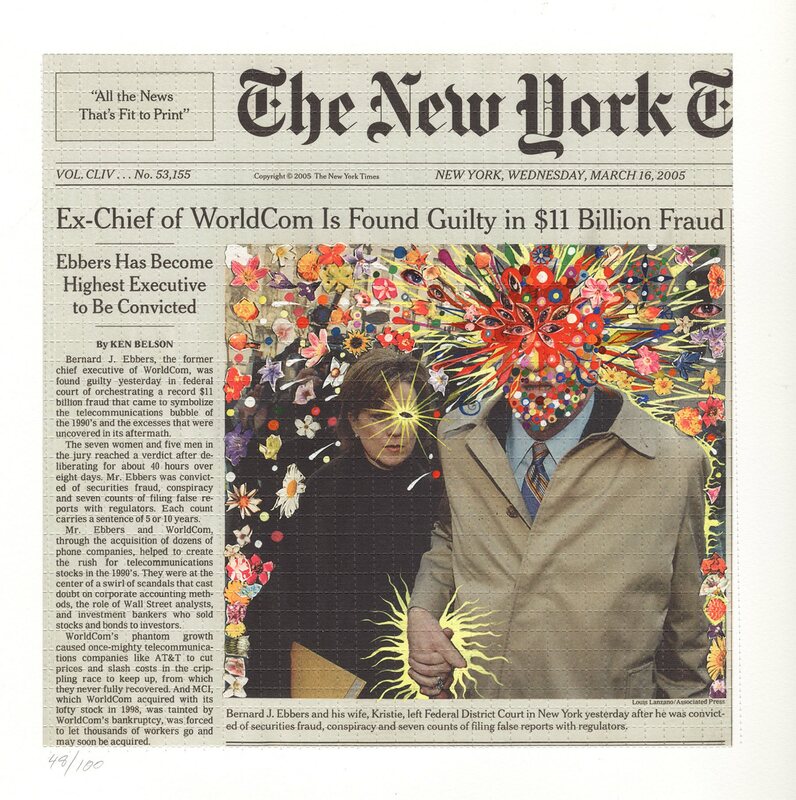 Fred Tomaselli opens in the Riley CAP Gallery on February 2 and runs through May 5, 2019, at Joslyn Art Museum. There is no admission fee for this show. The museum is located at 2200 Dodge Street and is open Tues-Sun from 10am-4pm; late ‘til 8pm on Thurs. For more information, visit www.joslyn.orgor call 402/342-3300.